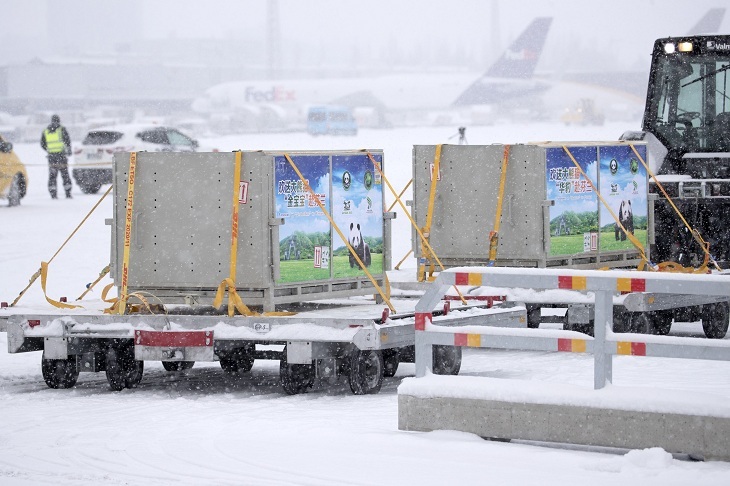 A pair of giant pandas, Hua Bao & Jin Baobao, have arrived on loan in snowy Finland as China’s gift to mark the small Nordic nation’s 100-year anniversary (1917-2017). 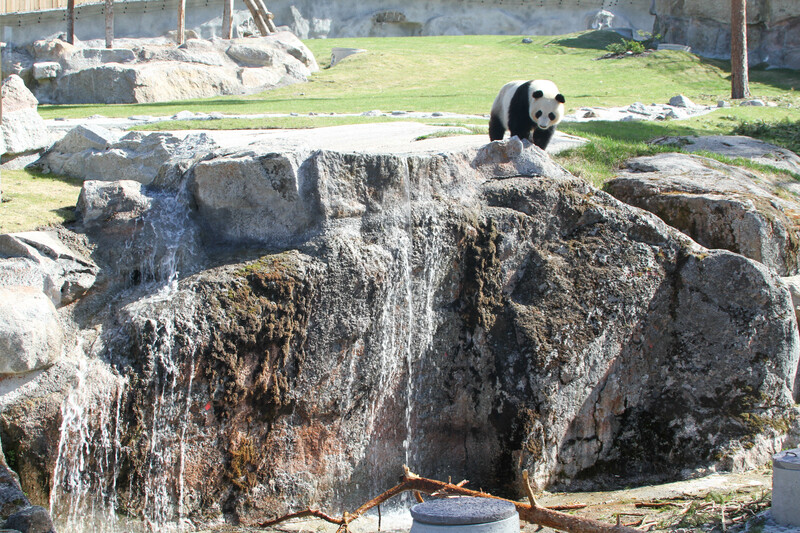 Hua Bao was renamed Pyry (meaning Snowfall) and Jin Baobao was renamed Lumi (meaning Snow). 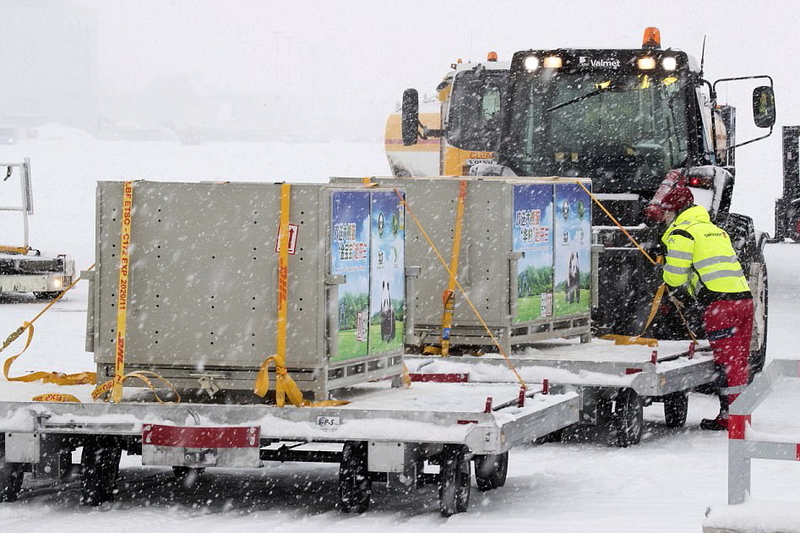 The Chinese ambassador to Finland, Chen Li, and Finnish officials led a ceremony to welcome Hua Bao, a four-year old male, and three-year old female Jin Baobao at Helsinki airport on Thursday. 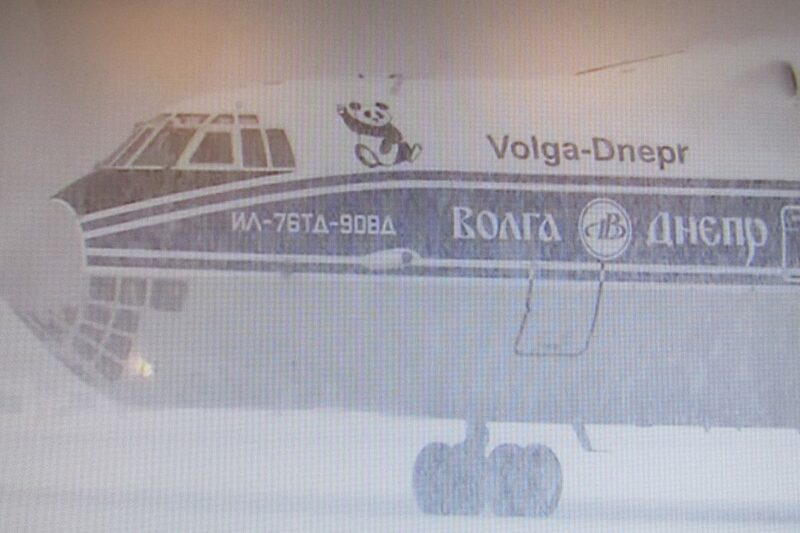 The Iljushin Il76 cargo plane took off from Chengdu and touched down at Helsinki-Vantaa airport just after 10:30 am local time, amid a snowstorm in the Finnish capital. 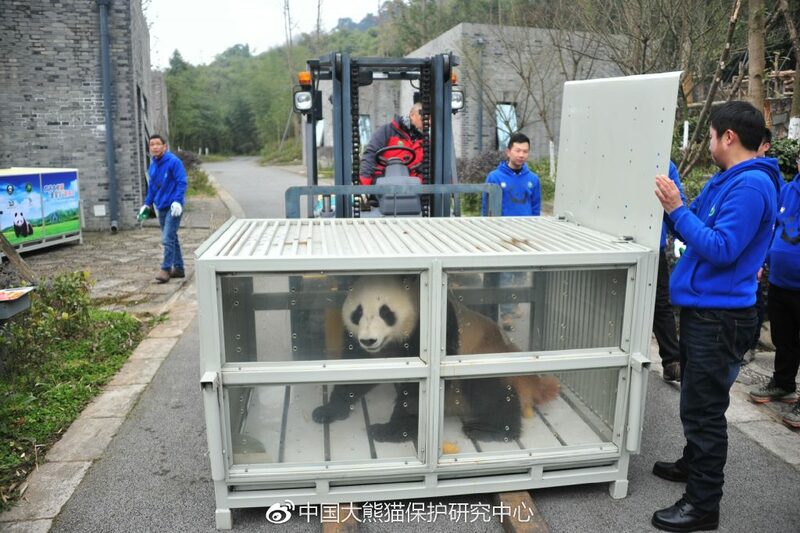 A group of professionals, including local vet Heini Niinimäki, panda keeper Anna Palmroth and the Chinese keeper Huang Shan and veterinarian Wu Honglin, accompanied Lumi and Pyry on their trip, which began at the Du Jiang Yan Base of CCRCGP on Wednesday morning. 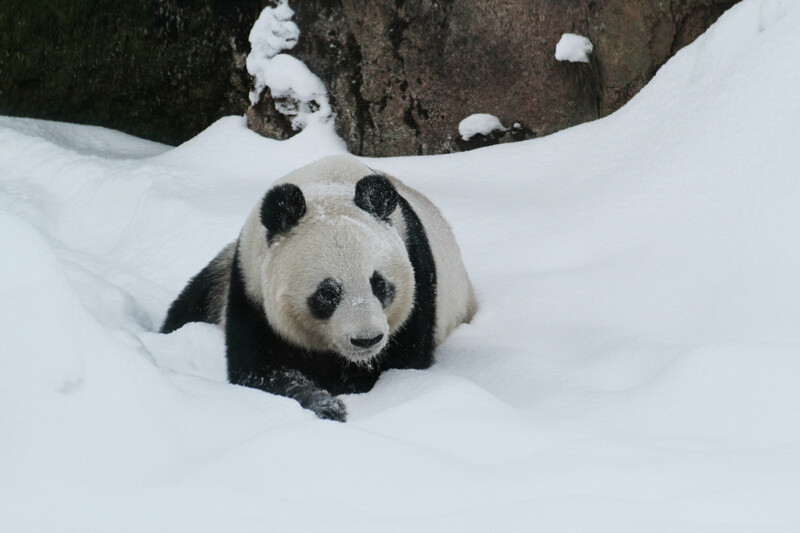 After arriving in Helsinki, they immediately began their journey to the Ähtäri Zoo in central Finland, amid cold wintry conditions similar to the giant panda’s natural living environment in China’s mountain areas. 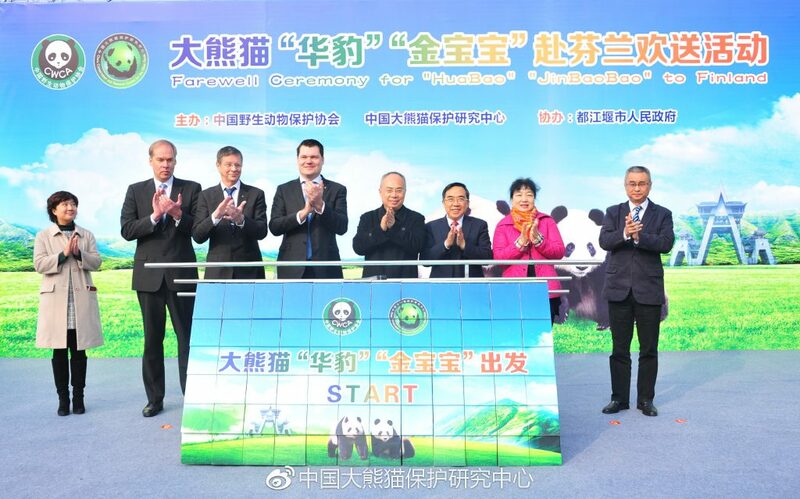 There, they will live in a luxurious panda house that the country’s largest wild zoo had spent three years – and around 8.2million euros – building.